English Teaching Zone: Gap-filling exercises – new ways to use them in class! Gap-filling exercises – new ways to use them in class! Do you find gap-filling a useful activity? For sure it is! Gap-fills are an excellent way to reinforce vocabulary, and allow the student to encounter the vocabulary in a variety of contexts. The exercises can be worked on individually or in pairs in class, or can be assigned as homework to be quickly reviewed in class the next day. But…what about giving it some high-tech spice and a personalized touch? Check these cool activities fostering vocabulary teaching, interaction and at the same time promoting learner’s autonomy! 1) At learnquick.com it is possible to create cloze exercises and tests very quick. This way students can create their own exercises and exchange with the other classmates. A nice activity would be having students transcribing their own essays or any piece of writing activity into a gap-fill. A challenging variation I like the most is a gap-fill exercise in which the words which are gapped are presented in their root form. In this way, students have to choose the correct word from the contexts given, and supply the appropriate form of the word, such as a different derivation or different tense. 2) Gap-fill exercises can be presented as crossword puzzles. Rather than presenting dictionary definitions as clues, use gap-fill sentences in context. An excellent crossword puzzle program is available free of charge from eclipsecrossword.com. The program allows you to make a crossword puzzle within minutes. All you have to do is type in the answer and the sentence clue, and the computer will generate the best configuration to fit all the words into the puzzle. To make it more interactive, this activity can be done as a race between groups. 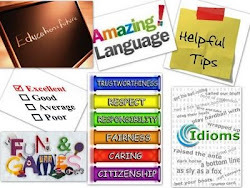 3) At classtools.net teachers can create a variety of vocabulary gap-filling exercises. The basic program is available free of charge. Go to http://classtools.net/widgets/quiz_6/lYggq.htm and give it a try! This WordShoot game is very cool!